PlayStation VR is required to play this game. Highest selling non mobile based VR offering to date. Can’t consider VR Gear or Cardboard as viable VR options. Which sale? Someone mentioned this in the PSN thread the other day but I haven't seen anything about a VR sale?!? Which sale? Someone mentioned this in the PSN thread the other day but I …Which sale? 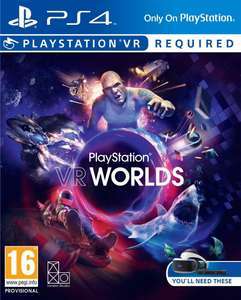 Someone mentioned this in the PSN thread the other day but I haven't seen anything about a VR sale?! ?